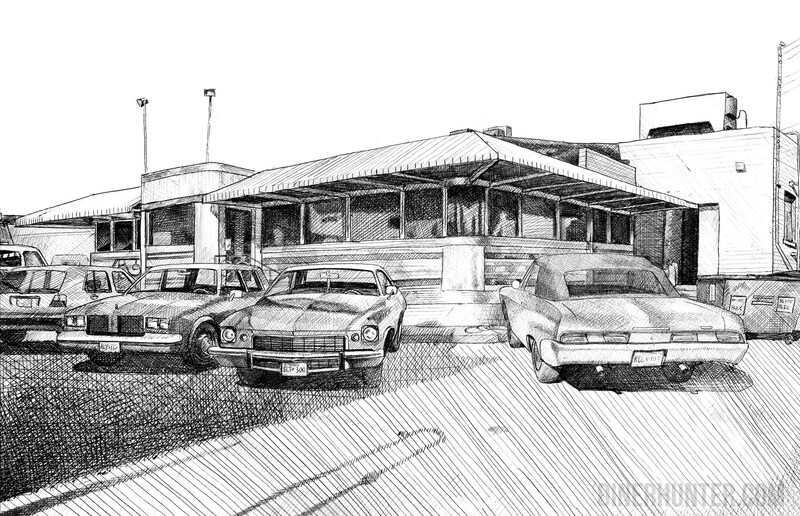 The Tastee Diner, Laurel, Maryland. Based on a c.1983 slide by Michael G. Stewart. I spent many a happy lunchtime at the Tastee in Bethesda, and somehow never realized there was a “Tastee Diner” chain! Fabulous drawing. You nailed it. Hope it’s still slinging hash? Where can I find a lil tavern today in maryland ?